Although the new XPS 15 2-in-1 (9575) was supposed to begin shipping more than a week ago, Frank Azor has just confirmed that many early adopters still have to receive their machines due to a delay that has been caused by "a small bad batch of the Mag lev keyboard." Even more, the i9 processor upgrade for the XPS 15 9570 is not available yet but will be added on May 10. 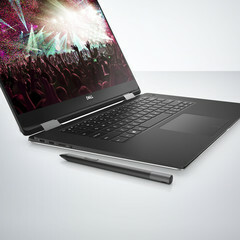 Although the early adopters of the Dell XPS 15 2-in-1 (9575) convertible were supposed to have their units delivered in the US around April 20 — or by April 13 for those who chose to pay an extra US$25 for the Dell Express Delivery service — many of them are still waiting. Fortunately, Frank Azor was on guard duty as usual and quickly addressed the complaints of these customers in a Twitter message. Earlier this week, a Dell customer who identifies himself on Twitter as @Anon0Mouse posted the following message: "Hey @AzorFrank can you give us early adopters an update on what's going on with all the @Dell #XPS 15 2-in-1 (9575) delays? My order keeps getting delayed and I'm definitely not the only loyal Dell customer who's getting seriously disappointed. cc: @DellCares"
Frank Azor's reply arrived in a timely manner and should make happy all the concerned Dell customers who are still waiting for their Dell XPS 15 2-in-1 (9575) orders to be fulfilled: "We ran into a small bad batch of the Mag lev keyboard so we put orders on hold to ensure nobody else gets affected by it. It's been solved and production has resumed. Affected customers will get repaired or replaced units." Another related story involves the early delivery of the new Dell XPS 15 9570. involves a customer who wanted to get the top-of-the-line hardware setup, which is supposed to include a Coffee Lake i9 processor. Sadly, it seems that the pre-order models only come with a limited number of hardware options and the i9 processor is not one of them. According to this customer, Dell's support team confirmed that the most powerful XPS 15 9570 will be available for customization on Dell.com starting on May 10, when this machine is scheduled to become generally available. The new Dell XPS 15 2-in-1 comes with AMD Radeon RX Vega M GL graphics and various processor/memory/display/storage options. One of its direct competitors is the 15.6-inch HP Spectre x360 model with the same Radeon graphics card, but machines with similar specs by other big brands should hit the market in the coming months as well. These being said, are you one of the early Dell XPS 15 2-in-1 (9575) adopters, or maybe your thing is the more powerful XPS 15 9570? If your answer is affirmative, did you receive the product already and are you happy with it? Those who still have to get their hands on these new machines might want to check the review embedded below that shows the US$2,200 convertible model with an Intel Core i7-8705G processor inside, 16 GB RAM, and the wide gamut 4K display option.